An English-language reader might be excused for thinking postmodern literature is uncommon in Turkey. Aside from Orhan Pamuk, few Turkish authors of this genre have been translated or widely publicized. But the loss is not Turkey’s. Beginning with works such as Ahmet Hamdi Tanpınar’s ‘Saatleri Ayarlama Enstitüsü’ (The Time Regulation Institute) in 1962 and Oğuz Atay’s ‘Tutunamayanlar’ (The Disconnected) in 1972, and continuing with contemporary writers such as Hakan Günday and Doğu Yücel, Turkey has produced many masters of the postmodern novel. Though very different in style and subject matter, their works are characterized by experimental narrative techniques and a dark, insistent questioning of accepted authority. 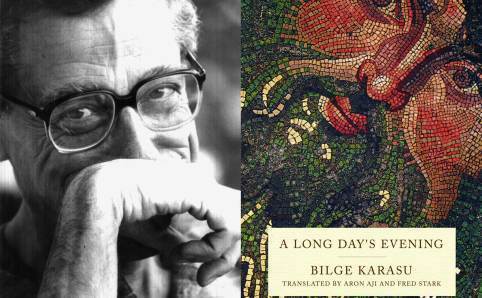 Bilge Karasu (1930–1995) joined the thin ranks of translated Turkish postmodernist authors in 1994, with the English publication of his novel ‘Night’.Two more of his novels, ‘Death in Troy’ and ‘The Garden of Departed Cats’, were published in English in 2002 and 2004. Known by Turks as a ‘sage of Turkish literature’, Karasu was born in Istanbul to a Jewish father and Greek Orthodox mother. With the recent translation of his ‘Uzun Sürmüş Bir Günün Akşamı’(A Long Day’s Evening), English readers can now enjoy another masterpiece from this inventive postmodernist. Iraqi Kurdistan is home to several groups of nomads, ethnic Kurds and Arabs who migrate between winter villages and summer pastures. “In winter, we live in houses, but in the summer, in the wild, in tents,” says Ali Tahir Ibrahim, part of a family of Kurdish nomads from the Nerway tribe. On a recent spring day, he and his brothers were bringing their sheep to drink from the Duhok River in Northwest Kurdistan, just above the Duhok dam.